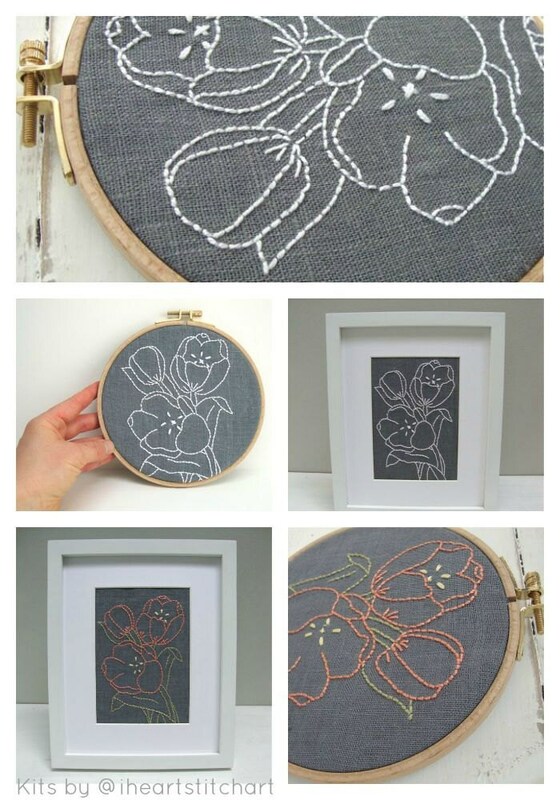 This embroidery kit features a design of tulips to stitch on beautiful, natural linen! 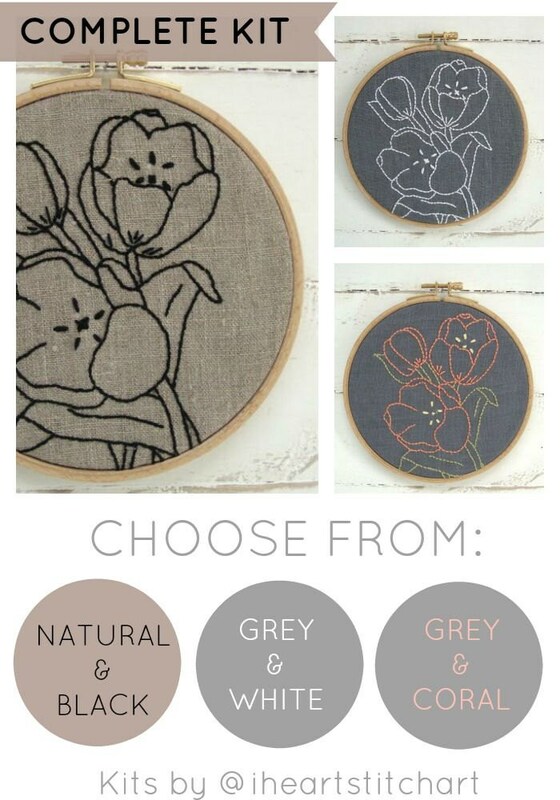 Choose from natural with black, grey with white, or grey with coral. I bought this as a gift for a friend. She loved it, and it looks great! 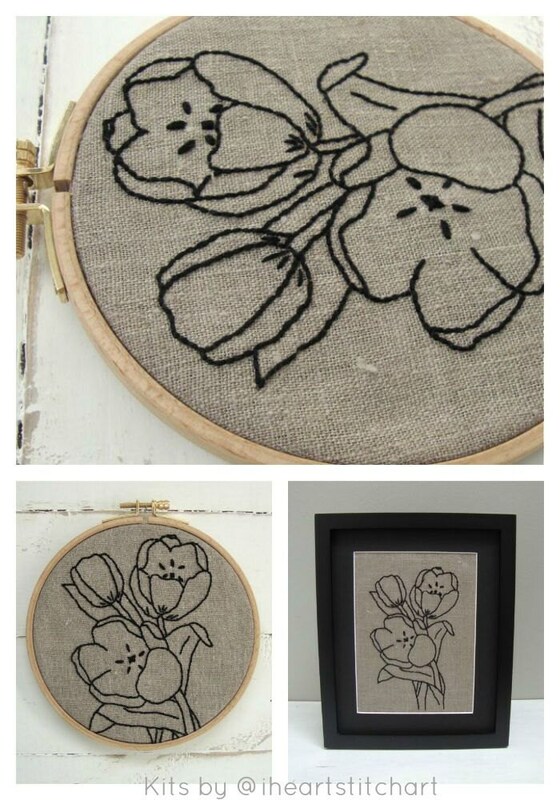 iHeartStitchArt was really easy to deal with, and it was delivered on time. Really cool kit. 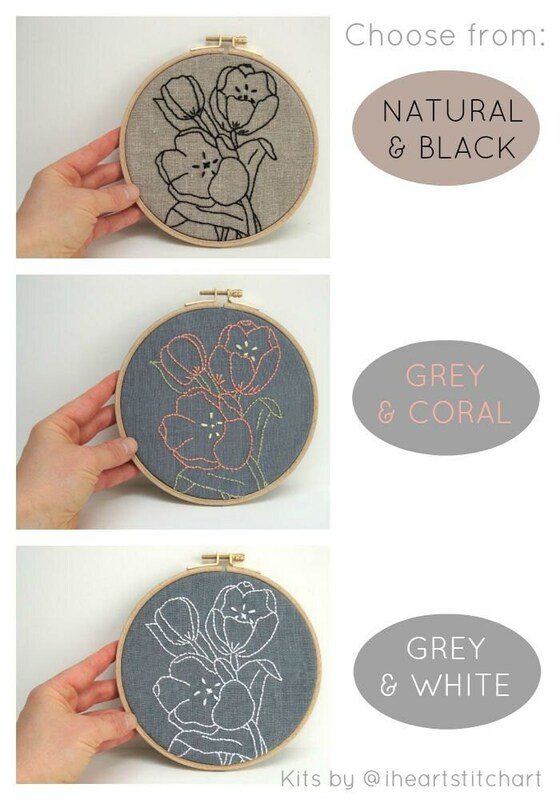 I've always wanted to learn, and this made it easy. 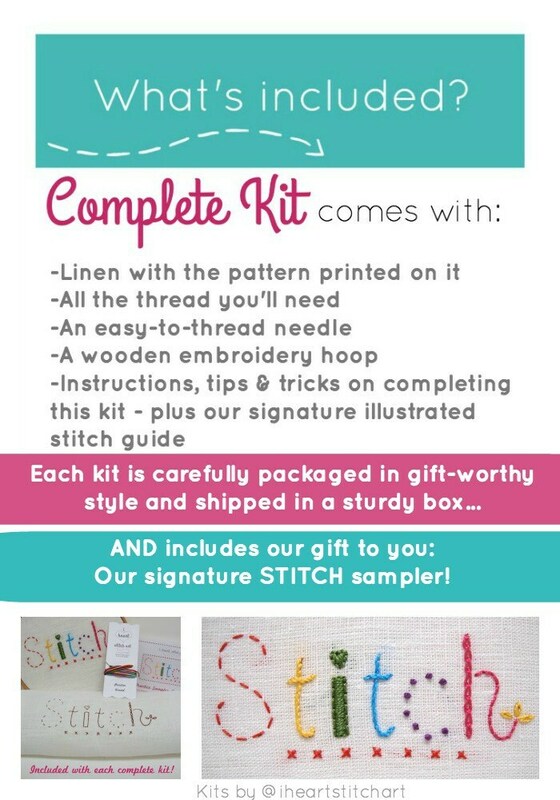 They send everything you need, and more than enough thread. Thank you! !